The Coalition’s advocacy in support of the Department of Education’s Math and Science Partnerships program led to a $5 million increase in appropriations for this program to $155 million in FY 2015, the first increase in more than 10 years. 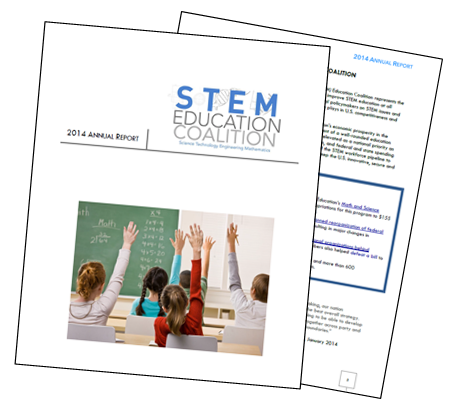 Our Coalition worked with the White House to re-tool a planned reorganization of federal STEM education programs across 13 different agencies, resulting in major changes in Administration’s budget for FY 2016. The Coalition rallied the support of more than 40 major national organizations behind common state standards in math and science. Coalition members also helped defeat a bill to repeal Common Core math standards in Ohio. The Coalition’s Policy Council has grown to over 40 members and more than 600 organizations have become Affiliate members of the Coalition.